Your office carpet is probably more important than you might think. Wall to wall carpeting helps keep the noise down in an office block and top quality carpet also makes a good first impression on visitors and potential customers. Not only that, quality carpet makes a nicer working environment for your employees and goes a long way to show them that they are valued. Top quality carpet can be an expensive investment, so like any investment, it makes sense to take care of it. 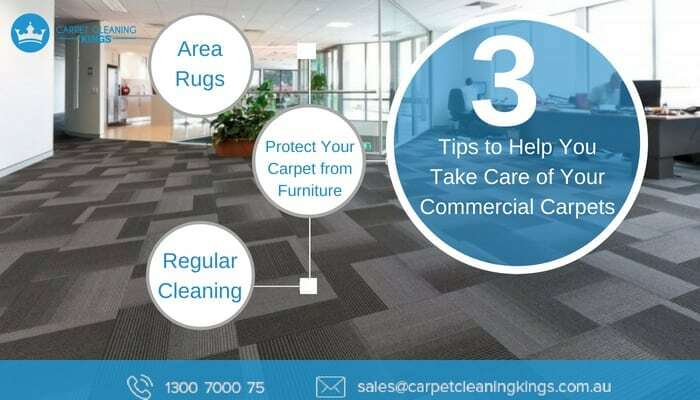 We’ve put together 3 top tips to help care for your commercial carpet, so without further ado let’s dive right in. No matter how careful you are, carpets get dirty from dust and debris which is carried in on the bottom of shoes. 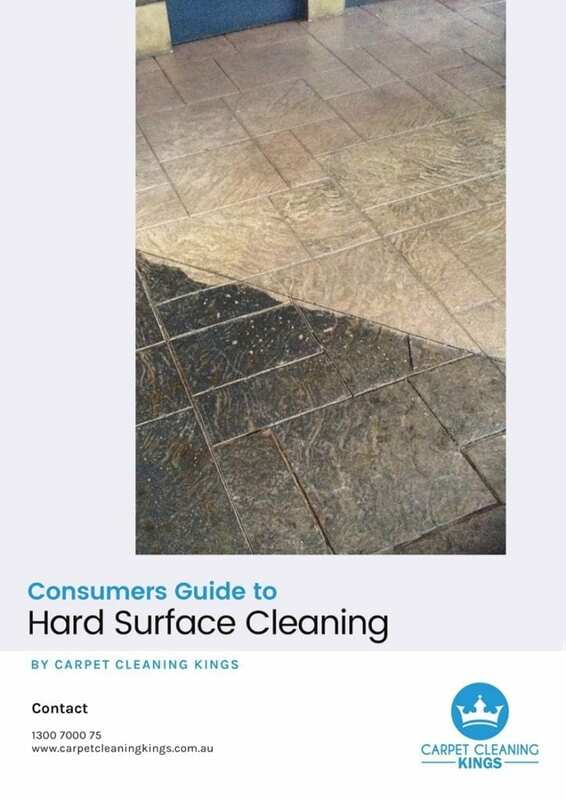 Tiny particles of grit and dirt can easily get trodden into the carpet and this has the effect of flattening the carpet piles and making the carpet appear dirty. 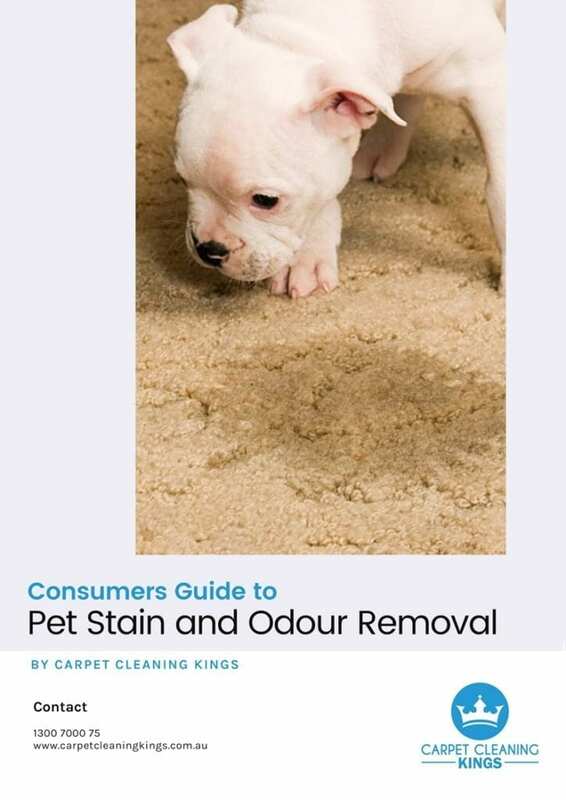 Not only this, over time these tiny particles of grit cause wear and tear to the fibres of your carpet, leaving you with no option but to replace it. Area rugs are perfect for placing at busy entrance ways. These will collect any dirt and debris bought in by visitors and employees and help preserve the appearance of your carpets. With regular vacuuming of both the carpets and the area rugs, your carpets will stay looking their best for longer. Another way of saving your commercial carpets from damage is to use rubber or plastic mats beneath office chairs that are on castors. This prevents grooves from forming on the carpet and from fibres becoming snagged. Small mats for employees feet beneath desks are a good way of protecting the carpet in these areas. No doubt your office carpets are vacuumed on a daily basis and that’s good. However, some people make the mistake of not having their office carpets cleaned until they look dirty and by that time, the damage has been done. Instead, make a note to have your commercial carpets cleaned at least twice a year, depending on footfall, or better still schedule a maintenance program with your preferred carpet cleaning company. Professional carpet cleaning helps your carpet to last longer and keeps it looking fresh and clean, and free from germs. 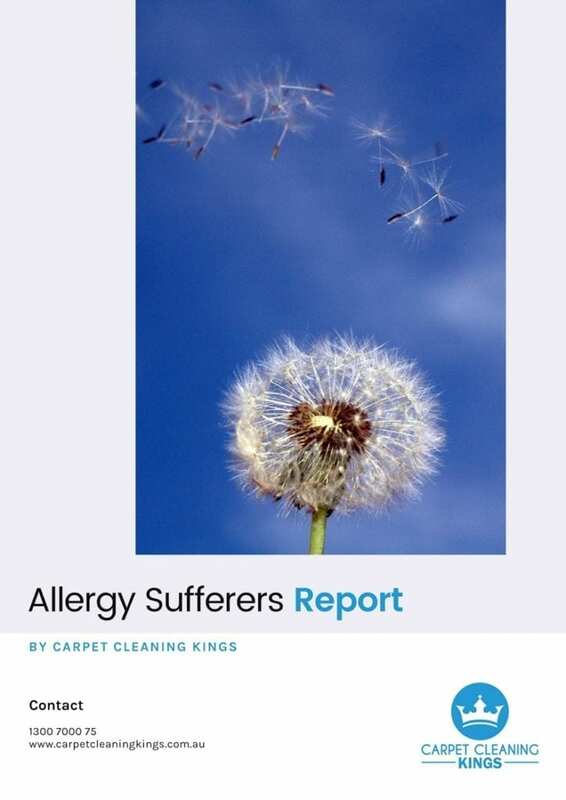 Were you aware that carpet mites and other insects and pollens can gather in the bottom of your carpet, triggering allergies and symptoms like sneekzing and running eyes for your employees? 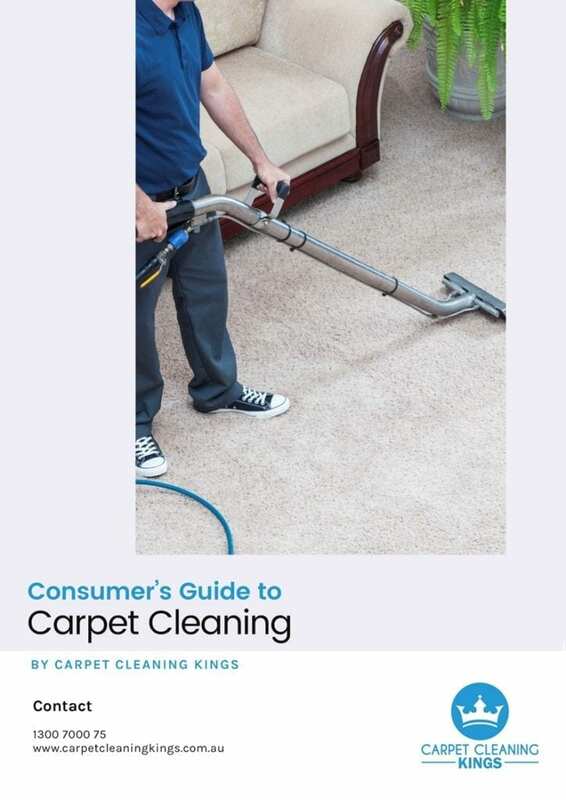 Carpet Cleanings Kings have years of experience and cater for both commercial and residential customers. With our state of the art vacuums, specialised cleaning solutions, and experienced technicians, we can remove any stains, freshen up your carpet, and make it look like new once more. We use the hot water extraction method which is recommend by many leading carpet manufacturers. 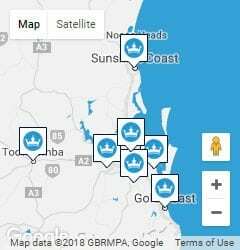 Why not give us a call on 1300 1000 75 to request a free quote or make a booking.